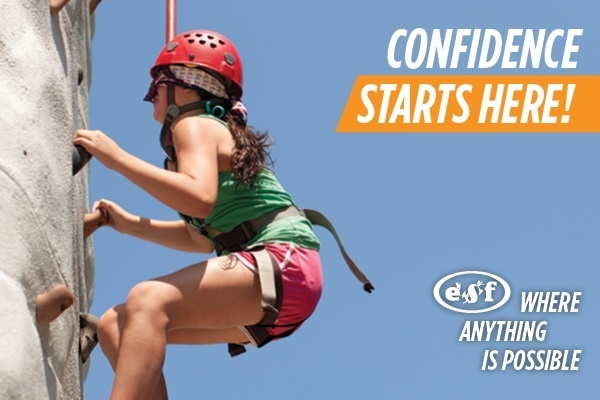 97% of Parents Say ESF Camps Has Increased Their Child’s Self-Confidence! At ESF Camps, we understand that each child’s developmental path is a unique, ongoing, and ever-changing journey. We create a positive culture that develops strength of character and increased self-confidence in our campers, while instilling valuable life skills! ESF draws inspiration from a variety of world-renowned industry Thought Leaders. Click here to watch a video filled with powerful messages from these ESF Subject Matter Experts. Everything we do is centered upon our 8 Virtues of Character. These drive higher achievement and greater fulfillment in life. We provide daily opportunities to build character and empower campers with personalized “tool belts” for individual success. Help increase your child’s confidence and motivation though our award-winning and nurturing programs at ESF this summer. To learn more about how we build character muscles, click here.